It’s been an emotionally taxing week for everyone associated with Full-Time Blues Radio. This week’s program features two tributes in the first half of the program. First up, we revisit a 2010 telephone conversation that johnny Full-Time had with Smokin’ Joe Kubek. Kubek passed away Sunday October 11, 2015, after suffering a fatal heart attack. You’ll also hear a pair of songs by Joe and his musical partner, Bnois King. The featured selection from inside “Johnny’s Mailbox” is a song simply titled “You,” by the Canadian trio MonkeyJunk. The men have put together a new album titled Moon Turn Red, which is available now from Stony Plain. The album features 10 tracks, nine of which were written by the band themselves or in collaboration with others. The 10th song is a cover of David Wilcox’ “Hot Hot Papa.” Wilcox joined the band for the recording. You can find complete information on all things MonkeyJunk at their official website, MonkeyJunkBand.com, and be sure to scroll below this week’s playlist, and watch a video featuring MonkeyJunk discussing their sound, the new album, and more. This week marks a special edition of Full-Time Blues Radio. Larry Grisham and Tommy Stillwell, the two founding members of the band, join Johnny Full-Time in studio for conversation about their new album, Hoodoo That We Doo, their performance schedule, and much more. Hoodoo That We Doo is the first album of all original music crafted by Stillwell and Grisham together in more than two decades. It features 11 tracks, and only two of the songs on this CD were written by one or both of the pair. It is one of their most diverse records ever, and was completely executive produced by the band. Listen to the Complete, Unedited Interview Here! This week’s shift inside the home for new & independent Blues music features a great mix of songs. The episode features acoustic bookends from Blind-Dog Gatewood and Bill Phillippe. There’s a set of Soul Blues tunes near the front of the show, and some heavier, Rock infused tracks toward the back end. In the middle there’s some great harmonica work, and a couple of slow Blues tunes. The featured selection from inside “Johnny’s Mailbox” is “God Don’t Never Change” by Bill Phillippe. 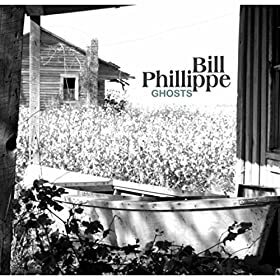 Bill’s new album is Ghosts, and it features original compositions alongside some of the great Blues tunes from the past. Ghosts is available now through all major digital retailers. 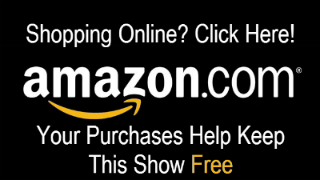 Remember, if you plan to purchase it through Amazon – Click the banner on the right hand side of our website. They will give Full-Time Blues Radio a referral fee, which helps keep this show free. Thank You! The WC Handy Blues and Barbecue Festival will take place June 7-14 in Henderson, Kentucky. 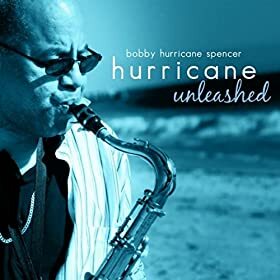 This event has become a bucket list festival for Blues music fans due to the talent of the performers, the passion of the fans, and the professionalism of the organizers. The 2014 WC Handy Blues and Barbecue Festival lineup features Grammy winners, Blues Hall of Famers, young stars on the rise, and regional favorites from around Henderson, Kentucky. This year’s big headliner is Charlie Musselwhite, but fans will also look for marquis names like James Cotton, John Nemeth, and Chubby Carrier & the Bayou Swamp Band!